COLORADO SPRINGS, Colo. — The nation’s top run-bike-run athletes will compete for national titles and world championship team spots next month, as the USA Triathlon Duathlon National Championships return to Bend, Oregon, from June 17-18. Three action-packed races are set to take place over two days, with the main venue at Summit High School. On Saturday, June 17, duathletes will toe the line for non-drafting sprint and standard-distance national championship races. The action will begin at 7:30 a.m. PT with the standard-distance race, which covers a 10-kilometer run, 40-kilometer bike and 5-kilometer run course. The sprint-distance race follows at 1:05 p.m. PT, covering a 5k run, 20k bike and 2.5k run. New in 2017, Duathlon Nationals will also include a sprint-distance Draft Legal Duathlon World Qualifier, which in prior years has been held as a separate event. That race is set for Sunday, June 18, beginning at 7:30 a.m. PT, and covers a 5k run, 20k bike and 2.5k run. In all three of the weekend’s races, athletes will have the chance to qualify to represent Team USA at the 2018 ITU Multisport Festival (formerly referred to as the ITU World Championships) in Odense, Denmark. For the standard-distance duathlon, the top 18 finishers in each age group after the age-up rule is applied, rolling down to 25th place, will be awarded spots on Team USA. In the non-drafting sprint race, the top six men and top six women in each age group after the age-up rule is applied will qualify for Team USA. In the draft-legal sprint world qualifier, the top 12 men and women in each age group after the age-up rule is applied, rolling down to 25th, will qualify. For more information on representing Team USA at ITU World Championship events, visit usatriathlon.org/teamusa. Registration is currently open at usatriathlon.org/usatdu17, and no qualification is necessary. Athletes may compete in multiple races throughout the weekend. 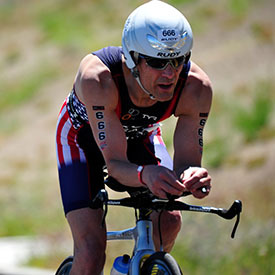 The USA Triathlon Duathlon National Championships return to Bend for the second consecutive year. Jesse Dunn (Logan, Utah) and Kirsten Sass (McKenzie, Tenn.) were the overall men’s and women’s champions, respectively, in last year’s standard-distance race. In the sprint event, Keith Jackson (Roseland, Va.) took the win for the men, while Sarah Barber (Boise, Idaho) was the women’s champion. Media interested in attending Duathlon Nationals are invited to fill out the USA Triathlon National Events Credential Request Form here. For complete event information, visit usatriathlon.org/usatdu17.